The facility has drop nets, mondo sprint lanes, and soccer goal storage so the facility can be utilized by multiple sports. 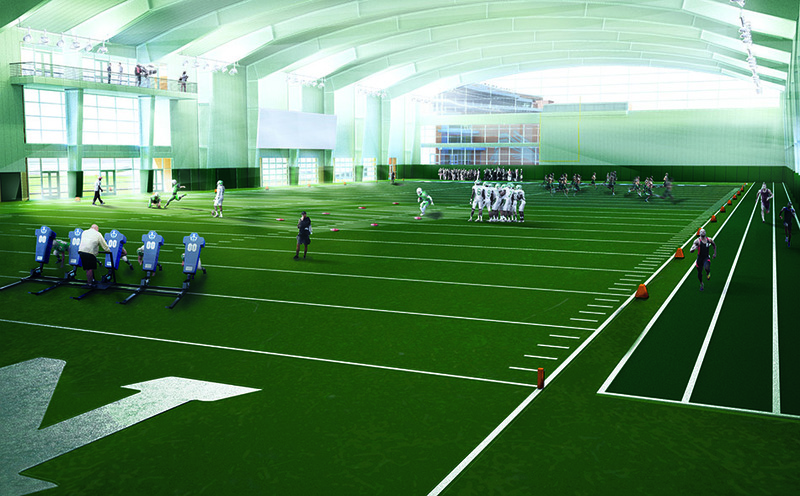 The lobby and recruiting lounge are elevated to allow visibility without disturbing practice. Eight glass over head doors connect the interior field to the exterior fields. 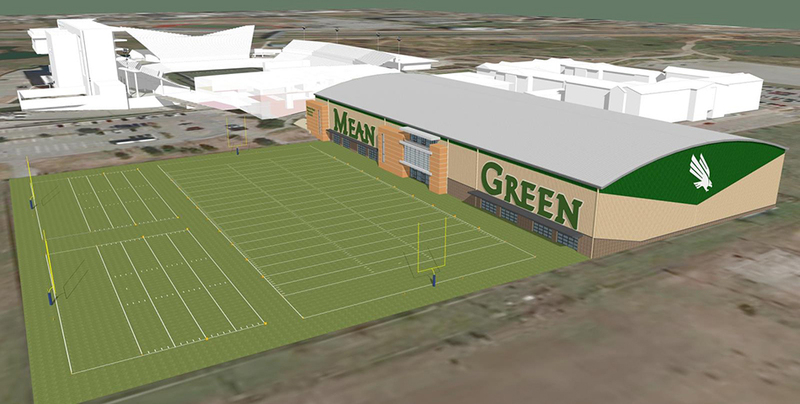 The athletic campus is at the intersection of two major interstates in the Dallas metroplex. The massive illuminated ‘Mean Green’ wordmark develops the architecture of the facade creating a branding statement for university and athletics.